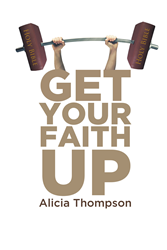 “Get Your Faith Up!” from Christian Faith Publishing author Alicia Thompson is an emotionally driven narrative that tells of an unwavering belief in the Lord amid the trials in life. “Get Your Faith Up!”: a gripping memoir of the author’s spiritually-inspired life decisions despite the overwhelming and underwhelming circumstances. “Get Your Faith Up!” is the creation of published author, Alicia Thompson, a new Christian author and founder of Daughters of Destiny, a mentorship for young ladies to discover who they are in God. Published by Christian Faith Publishing, Alicia Thompson’s new book recounts the author’s personal riveting moments, hoping to convey the wisdom of never yielding to fear and reconnecting to God through his Word. Taking inspiration from Matthew 8:26, “Get Your Faith Up!” reveals a flawed human whose life takes a full turn after finding God through self-reflection and learning from life’s experiences. View a synopsis of “Get Your Faith Up!” on YouTube. Consumers can purchase“Get Your Faith Up!” at traditional brick & mortar bookstores, or online at Amazon.com, Apple iTunes store, or Barnes and Noble. For additional information or inquiries about “Get Your Faith Up!”, contact the Christian Faith Publishing media department at 866-554-0919.